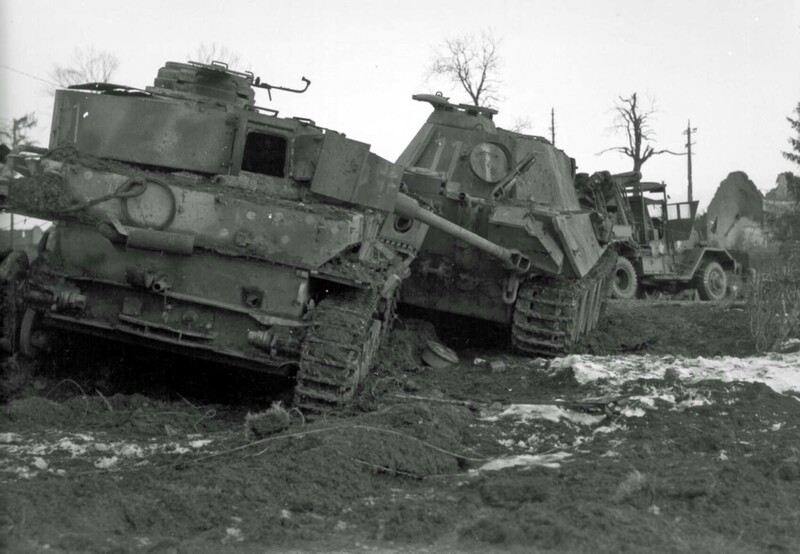 Destroyed German medium tanks – PzKpfw IV ausf.J and PzKpfw V ausf.G “Panther”. The Western Front. In the background, the heavy vehicle-evacuator “Ward La France-1000” of the American Army.